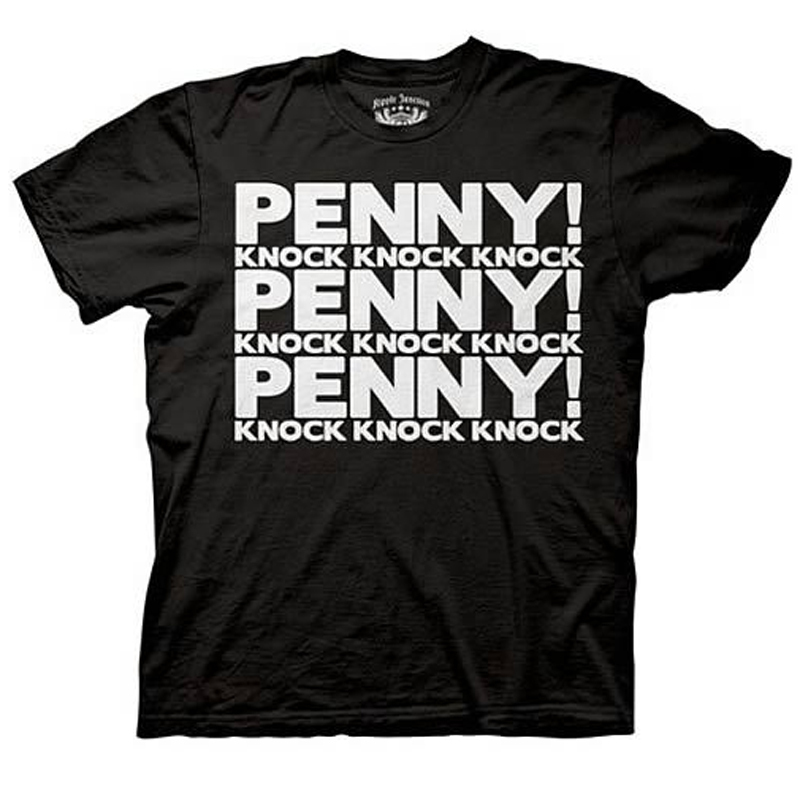 If you know Sheldon, you'll know that this is his signature Penny Knock. It's obnoxious and wild and sure to make you friends, neighbors, and doors everywhere run for the hills. Feature: - 100% cotton. Black with white text. Adult unisex fit.